Weeks after Amazon.com Inc. announced plans for a major investment in the Cincinnati airport, a company in Wilmington that handled its air cargo operations says it will close a facility, costing 335 jobs. LGSTX Services Inc. announced the move in a series of letters to the Ohio Department of Job and Family Services on Monday. The discontinued jobs will include 296 employees in its cargo handling business, LGSTX Cargo Services Inc., 37 employees in its maintenance business, LGSTX Services Inc., and two control tower operators with Global Flight Source Inc.
All of the employees will be terminated on April 30. "(The “Company”), as a result of a decision made by a customer to relocate its operations, will lay off all of its employees from its Wilmington location at 145 Hunter Drive," company president Gary Stover wrote in letters to the state. "In addition, the facility commonly referred to as Building F will be closed." 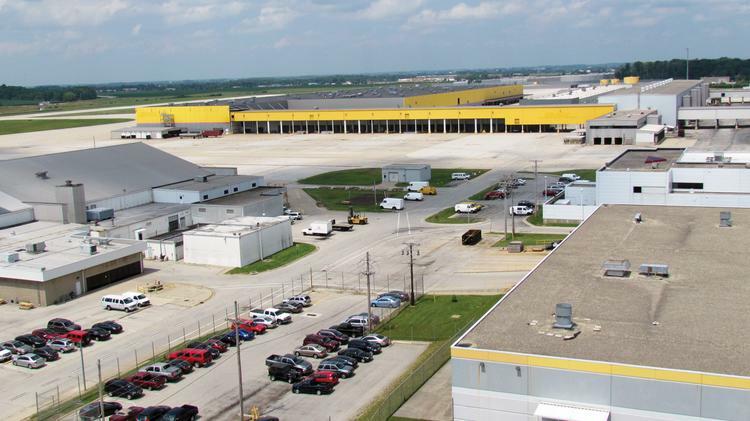 In late January, Amazon announced a $1.5 billion worldwide air services hub to be built out at Cincinnati/Northern Kentucky International Airport, which will bring 2,700 jobs and 40 Boeing 767s to CVG. Before that, Amazon (NYSE: AMZN) had partnered with Air Transport Services Group Inc. (Nasdaq: ATSG) on a secret air cargo operation called Project Aerosmith, which has been operating out of the Wilmington Air Park since mid-2015. In March 2016, ATSG confirmed the partnership and Amazon purchased shares in ATSG. Wilmington and its air park have been bouncing back from the loss of German air cargo company DHL in 2010, which cost thousands of jobs and brought national attention. Most recently, Clinton County Port Authority said it was looking to reopen its second runway to increase its cargo capacity. Officials have said they would seek other users at the airport, which manages mainly air maintenance and cargo operations.